The amount of damages and cause are under investigation, according to Seminole Fire Rescue. 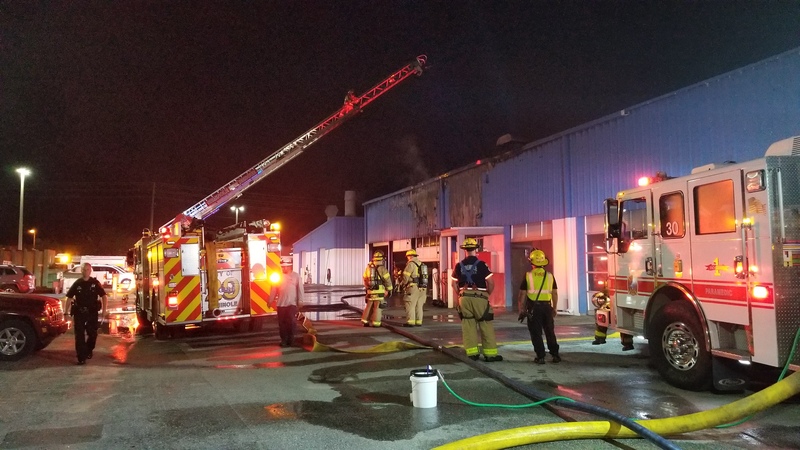 SEMINOLE – Several vehicles that were inside a car dealership were damaged during an early morning fire, Seminole Fire Rescue said. Firefighters were called to Suncoast Chrysler Jeep Dodge, 8755 Park Blvd., about 6 a.m. today (Sept. 22). When firefighters arrived, they found heavy black smoke coming from a service area. Crews rapidly extinguished the blaze that occurred in one of the service bays within 20 minutes. Smoke and heat damaged several vehicles that were in the building at the time. Fire units from Seminole, Pinellas Park, Largo, Lealman and an ambulance from Sunstar helped battle the blaze. No injuries were reported. Damages and cause of the fire are being investigated. For information about Seminole Fire Rescue, go to myseminole.com. Photos courtesy of Seminole Fire Rescue.